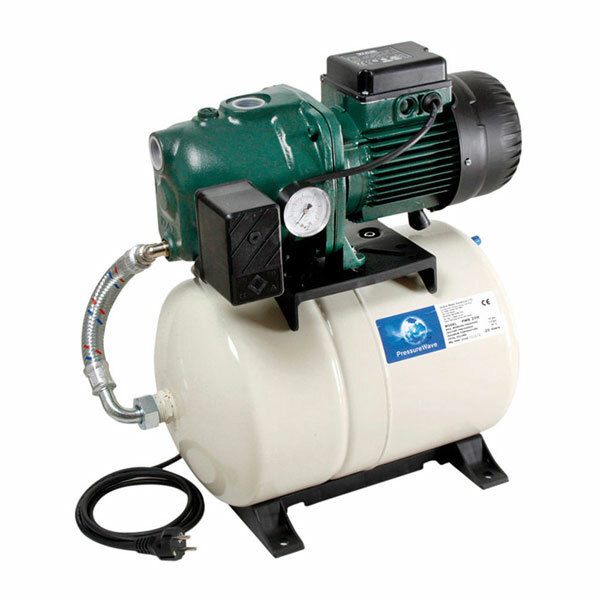 View basket “Powerboost – FLOW V – Twin 4CR 100 – Variable Speed” has been added to your basket. 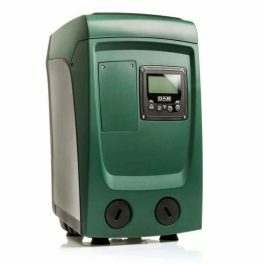 The Increaser CV Range of water pressure boosters are designed to increase water pressure and flow within a domestic or light commercial property. 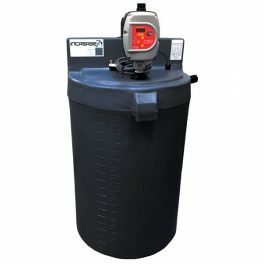 With a water storage capacity of 125 litres this product is ideal for smaller properties with 1-2 showers. The unique shape of this product makes it ideal for properties with limited space, it is a similar size to a washing machine, and can be fitted under kitchen worktops. 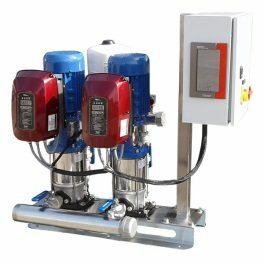 This range of water boosters is designed to work with a pressurised hot water system i.e. a Megaflow or Combination Boiler system. 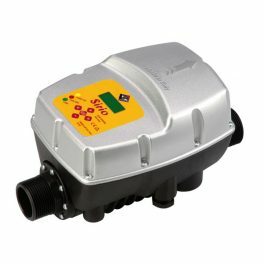 The V range comes with a variable pump controller that will intelligently adjust the performance of the Increaser™ providing a constant set pressure to multiple outlets. The variable speed controller will also ensure that the Increaser runs more efficiently therefore reducing the energy consumption of the unit. Why do I need an Increaser? To increase the water flow in your property there must first be more water. 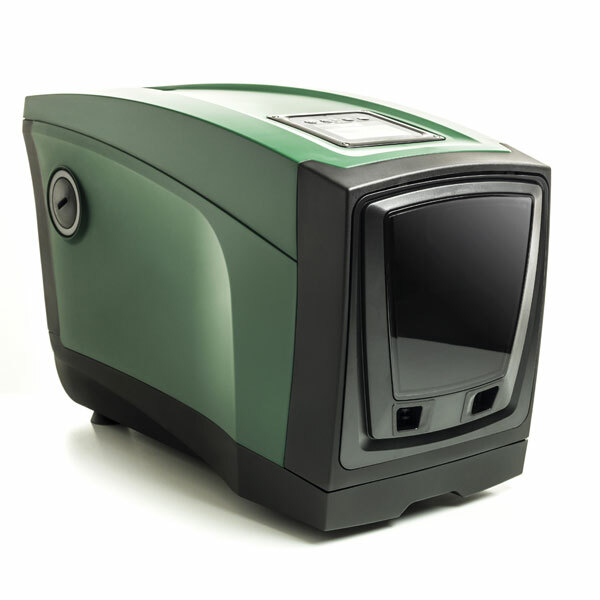 If your mains is not delivering, then you need an Increaser unit to store your own water ready for when you need it most. This can then be pumped to your outlets when needed giving you a plentiful supply and excellent water pressure. 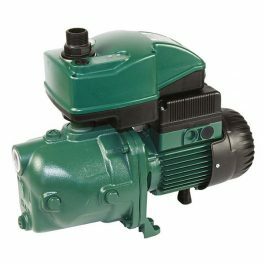 Motors create noise, but by incorporating an ultra-quiet pump within the Increaser unit, means that the unit is about as quiet as you can get. Is it easy to plumb in? 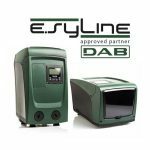 Our unit is designed to remove the headache for your installer. We check every unit before it leaves us to ensure that it is in perfect working order when it gets to you. Mains 2m Power Cable: 5 amp fused 3pin fitted UK plug. * Subject to being correctly plumbed. Shared pipework may affect pressures. What is the difference between the fixed (F) and variable (V) speed version? The fixed speed version has a standard pump controller that ensures you always have a minimum set pressure to your outlets. As more outlets are opened the pressure/flow will reduce. 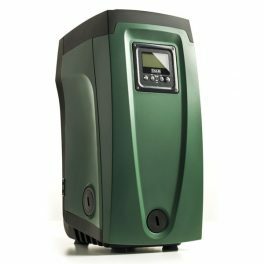 The variable speed version has an intelligent pump controller that will supply a smooth luxury flow of water to every outlet by maintaining a constant pressure/flow throughout your property by speeding up and slowing down to suit demand and reducing energy consumption. What size property will this supply? The Increaser is scalable and additional capacity can be added for large properties or those with particularly poor incoming flow rates. 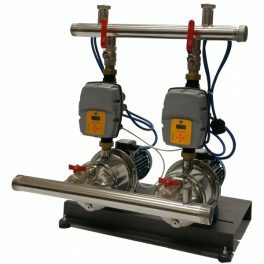 We have designed this unit to fit in all domestic properties, although incoming flow rate and required usage must be taken into consideration. If you have a particularly low incoming mains and a lot of people wanting showers at the same time you may need an additional Increaser slave tank to ensure you have enough stored water to meet demand. What if my tank runs out of water? The controller will turn off the pump if there is no water in the tank. 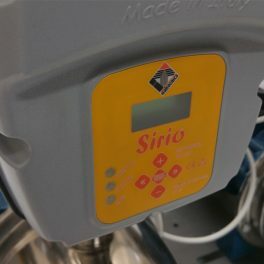 It will automatically reset after a short delay allowing the water volume in the tank to recover. 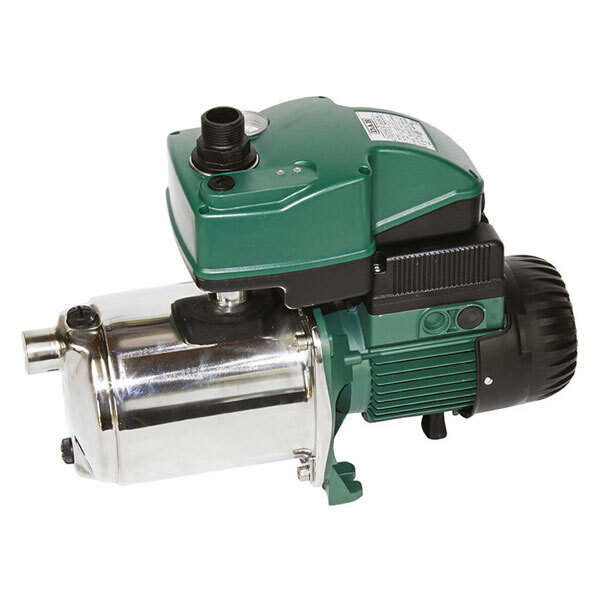 The pump protection feature ensures a long and happy life for the pump. Where am I going to put it? Unfortunately there is no small way to store 120 litres of water, but this Increaser C unit has been carefully designed to fit in the space of a standard kitchen unit (similar to a washing machine) for properties where space is at a premium. The DAB E.SYBOX is an integrated electronic water pressurisation system for domestic and residential use. Automatic booster sets, suitable for domestic, small civil, farming or industrial installations, washing plants and leisure activities. 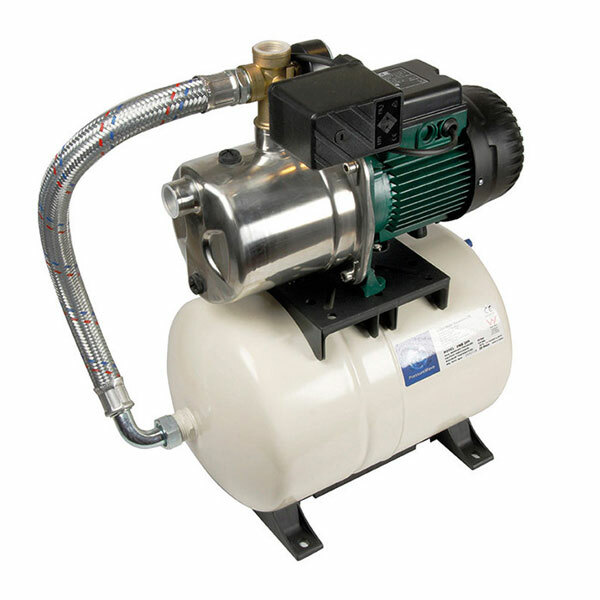 Increases Pressure & Flow Designed for large domestic & light commercial use. Increases Pressure & Flow Designed for larger commercial applications and high rise buildings. Electronic device based on technology that maintains constant system pressure. Automatic Booster Systems used to pump rainwater, potable or not-potable water. 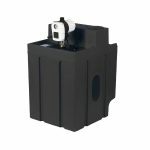 Designed for easy management of the water pressure in apartments or small residence of up to 2 bathrooms.